Toy trains are an enjoyable family hobby and tradition. In simpler times, many families enjoyed a train set under the Christmas Tree every year. American Flyer S Scale trains are ideal for a family, especially if your family has younger children. Since American Flyer trains were produced in the 1950s and 1960s, they lack the detail and complications of more modern toy trains. This simplicity makes them more rugged and harder to break - perfect for younger model railroaders. S Scale trains are larger than N Scale or HO Scale model trains, making them easier for youngsters to handle. Also, most of the less expensive American Flyer equipment is not in perfect, mint condition, so you don't need to worry about it getting scratched up. It is also simple to repair if repairs are needed, and parts are readily available. Besides the fun of running trains, American Flyer trains can teach you about mechanics (maintaining locomotives and accessories), electricity (wiring your layout), painting (refinishing locomotives and cars), bargain hunting (finding good deals on equipment), and even art (designing your layout). In short, model railroading with American Flyer trains is a wonderful family hobby that has something to offer people of all ages. Courtesy Kalmbach PublishingBoth HO (1/87) and O scale are more popular than S scale, but many people find S scale to be just the right size, and it is sometimes referred to as "Ideal Scale." When I started in model railroading it was in HO. However after I had Lasik surgery, I found the smaller HO models harder to work with unless I put on my reading glasses (which are perpetually lost). More important, my 4 year old son likes to play trains with dad, and the HO models are too easy to break and too hard for him to get on the track. 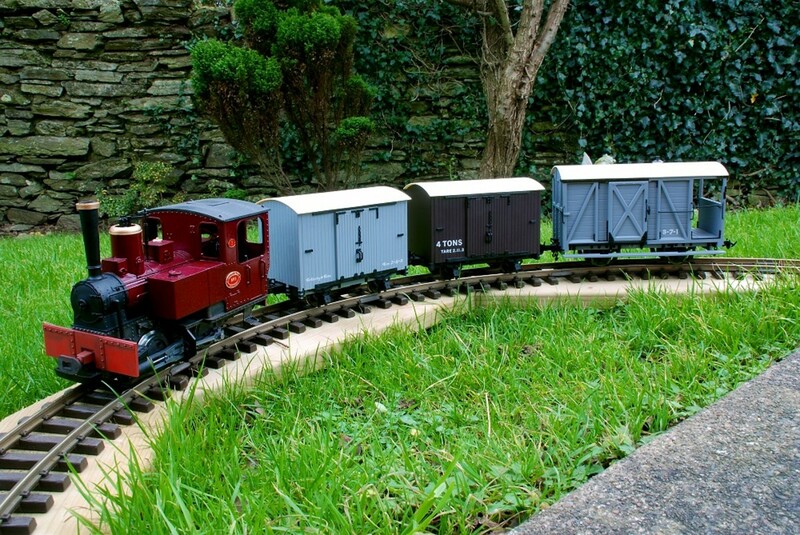 The S scale models are a lot more rugged and easier for him to get running. 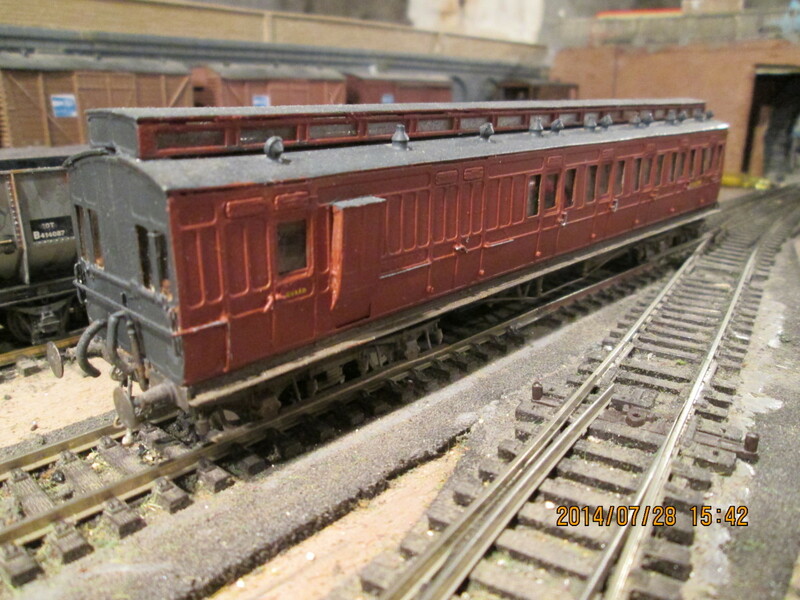 As for O scale, at 1/48 a layout takes up 33% percent more space than an equivalent S scale layout. I also like the fact that I can fit a layout onto a 4 x 8 sheet of plywood, and I prefer the look of the 2 rail track. Although there is a lot more equipment available in O scale, so far I haven't had any problems getting what I need in S scale. I have links to several vendors at the bottom of the lens. 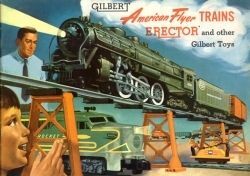 Gilbert's Famous American Flyer Trains is a beautiful, 200 page hard cover book covering the American Flyer trains produced by the A.C. Gilbert Company between 1946 and 1966. In addition to the trains, it also covers American Flyer buildings and accessories from the era like talking stations, operating coal loaders, and more. It's an excellent reference for anyone wanting to learn about A.C. Gilbert and their American Flyer trains. It also makes a great gift for the American Flyer fan(s) in your life. Prices on American Flyer trains can vary a lot, even for similar items that look the same. For example,on EBay selling prices for a 930 Caboose in "excellent" condition range from less than $20 to over $100. Why? Because certain versions and years are considered collectible while others aren't. Unless you are a knowledgeable collector, it's hard to tell the difference so how do you avoid buying an expensive piece when all you really want is something inexpensive to run on your layout? The American Flyer Price & Rarity Guide - 2012 Edition has the information you need to identify American Flyer trains and equipment. While the pricing information isn't current (the book was published in 2007), the other information is concise and accurate. American Flyer or Lionel - What's the Difference? There are 2 main differences between Lionel and American Flyer trains. First, Lionel trains are O Scale and American Flyer trains are S Scale. What's the difference? O Scale is 1/48 (1/4" = 1 foot), while S Scale is 1/64 (3/16" = 1 foot). The other difference is that Lionel trains run on 3 rail track, while American Flyer trains run on 2 rail track. Since real trains run on 2 rail track, some people prefer the greater realism of American Flyer's 2 rail track to Lionel's 3 rail track. Which is better - American Flyer or Lionel? American Flyer Price Guide - How much should you pay for American Flyer Trains? While some American Flyer trains sell for big bucks, my focus is on common items that sell for around $25 to $50. Before you buy, it's important to know what a particular item is worth. The American Flyer Price & Rarity Guide - 2012 Edition is the most current price guide for American Flyer trains and accessories. It's less than $15.00 and can easily pay for itself on your first American Flyer purchase by helping you avoid spending too much. If you're serious about buying American Flyer Trains you should really have this book. Buying a complete train set can be convenient, but sometimes it's more fun to put together your own train set from individual parts. Buying individual parts to make a complete set also has advantages. For one thing, you can choose what locomotive and cars you want instead of just being stuck with what a factory train set comes with. For another thing, if you're giving the train set as a gift, opening a lot of smaller presents can be a lot more fun than just opening one big box, especially for little kids. Whatever your reason for putting together your own train set instead of buying a factory set, you can find everything you need to put together your own American Flyer train set on EBay. The only components you will need are track, a transformer (or power pack), a locomotive, cars (freight or passenger), and a caboose. Although several vendors are making "realistic" S Scale track that is compatible with American Flyer trains, in my opinion a vintage American Flyer train just plain looks better running on vintage American Flyer track. Sure, it doesn't look as "realistic" as the modern track offerings, but that's not the point with these trains. Genuine (vintage) American Flyer track has rails formed from thin strips of steel. The ties are also formed from steel, and there are only 4 ties per track section. It has 2 big advantages over more modern AF compatible S Scale track systems. The first one I already mentioned - vintage trains just look better running on vintage track. The second is price - vintage track is quite a bit cheaper than than the modern S Scale track systems. How much cheaper? 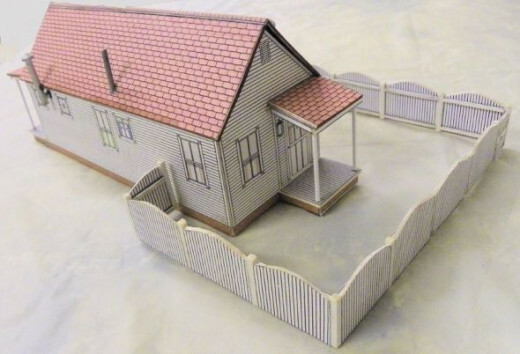 Using typical EBay prices as a guide, a small oval with 1 siding and 1 spur (requiring 3 switches) would cost about $95 - $125 if you shop carefully. Using modern S Scale (AF compatible) track, it would cost about $210 using Classic Trains track, $175 using American Models track, and $215 using S Helper's track system. 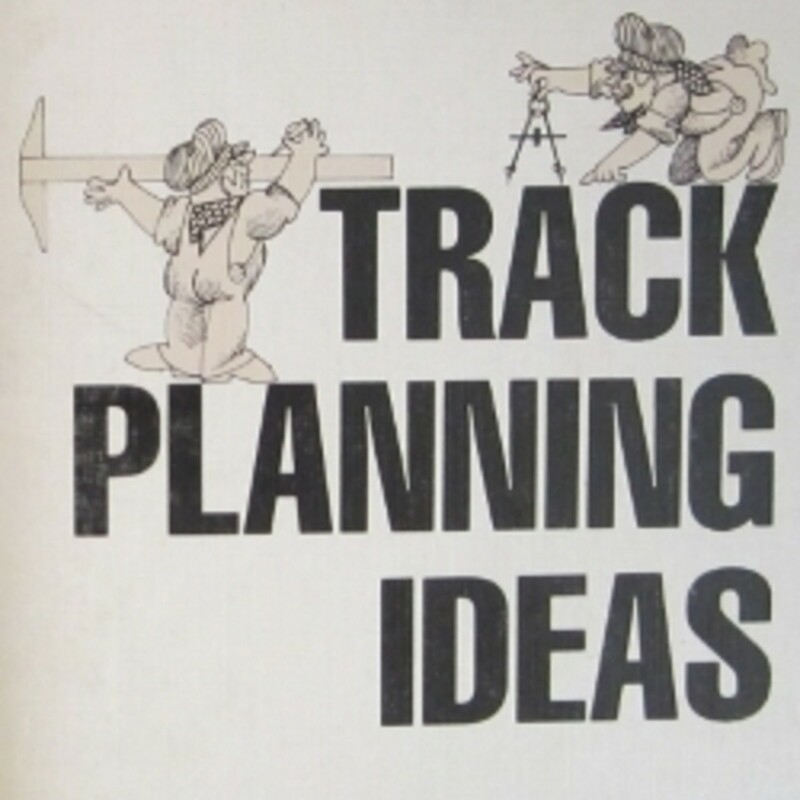 eBay is the best, easiest place to find vintage American Flyer track. If you want to build on a 4 x 8 table, you need 19" radius curves (AF #702). Some sellers have 27" radius curves so if you're not sure, ASK. The straight sections are AF #700. Expect to pay between $17 and $25 per dozen for track in very good to excellent condition. Track that is rusty, bent, worn, etc can be bought for a lot less, and NOS is also available for about $3.79 per section. Switches for $40 to $60 per pair depending on condition. Shipping costs on track can be high, so some times you can save by buying multiple items from a single seller and getting a combined shipping rate. Not all sellers are willing to do this. If the listing doesn't explicitly state they are willing to combine shipping, ASK. The NASG is the umbrella organization representing the 3/16" model railroading community. 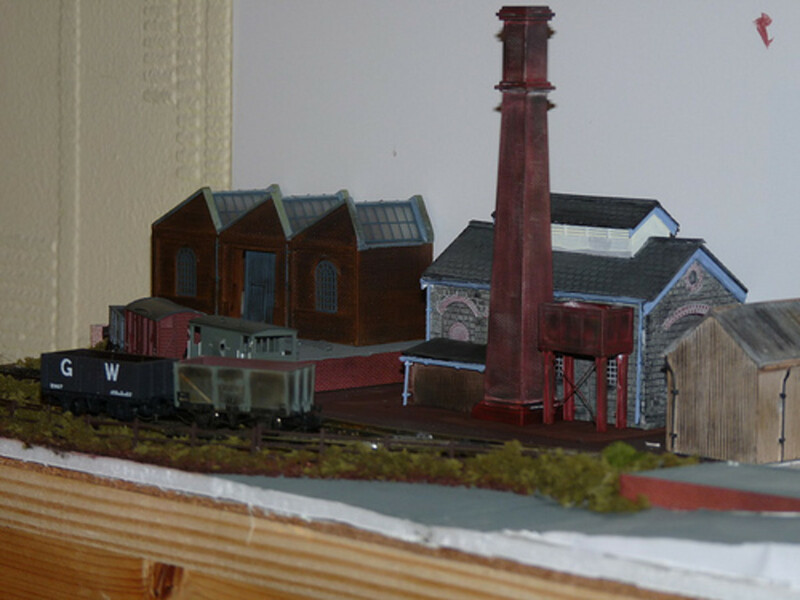 It performs a wide range of activities in support of the S gauge world. 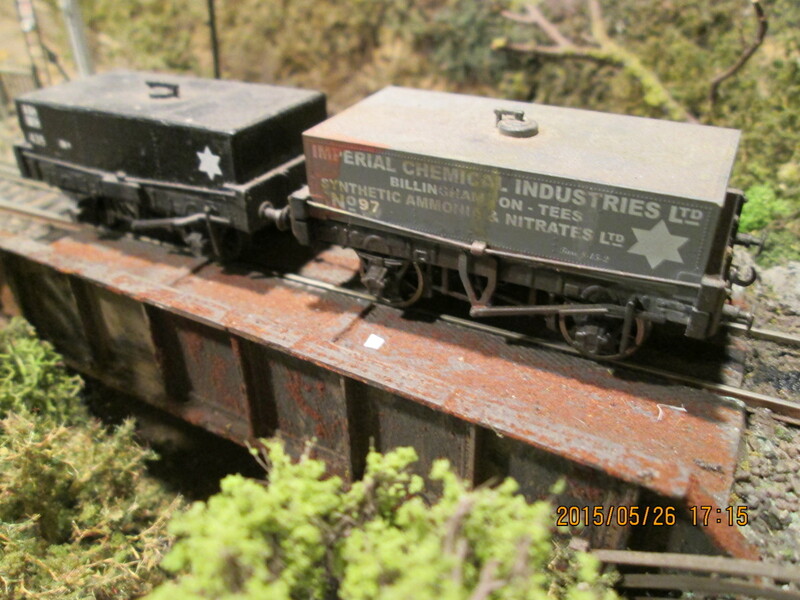 American Models produces Hi Rail style trains that are compatible with American Flyer. Their products are rugged and well suited for young children. S Helper Service makes highly detailed models which are offered with American Flyer compatible wheels and couplers as well as scale wheels and couplers. These models are highly detailed and probably a little too fragile for little kids. This web site covers all aspects of modeling in S Scale, including what products are currently available, kit-bashing projects for Sn3 and Sn42, etc. Thanks for visiting my lens. I had a lot of fun writing it and I hope you had a lot of fun reading it. I value all comments and critiques, so please be sure to leave your feedback. Looks like a lot of fun. I love trains... all sorts. Thanks for the great lens. I was surprised to see no mention of TheGilbertGallery.org, especially under the topic "Identifying American Flyer Trains." It is an online encyclopedia of Flyer S Scale trains with pictures of almost everything ever made. Awesome lens. Thanks for sharing. This lens brings back good memories. Enjoyed your lens. When I was a little girl in the 1950s, my big brother had a wonderful train set. I only wish I knew what make and model it was. Great fun watching it circle the Christmas tree each year. Thanks! Very interesting and informative lens on American Flyer trains. Nicely done! Love toy trains but knew nothing about American Flyer! Nicely detailed with clean layout and nostalgic images. Thanks for sharing. Fall. :-) So.... returning to tell you that this lens has now been 'featured on' and lensrolled to' "SquidAngel Blessings by an Elf". The trains look magnificent and they are not at all bad as antiques or hobbies. I remember the joy it brought when a toy train was gifted. This is a fun lens perfect for children and grown ups too! I never had a train set as a kid, but am making up for childish things now, maybe, by collecting action figures! Love the old train sets from when I was a kid. I remember American Flyer trains fondly but always liked the Lionel ones better. Either way, the train hobby is a great past time for any family to enjoy together. My hubby had the standard O Scale train set as a youngster. When our son was 6 years old, we got an N Scale set, as space was limited and it fit on a piece of plywood that fit across a standard card table, taking up very little room. To this day, my son swears it was never HIS train -- it was DAD's! Hubby became extremely fascinated with N Scale and spent hours in a favorite hobby store finding and buying new pieces. The set grew &amp; grew and included buildings and landscaping! Because of a major move, the set was sold several years later. Excellent lens, thanx for sharing it. Every Christmas, my father would bring out the trains and set them up under our Christmas tree. The choo choo is still playing in my memories. I have lots of fond childhood memories of helping my Dad build villiages, mountains, valleys &amp; caves for his HO trains...It's a really great hobby. Wonderful lens &amp; Blessed by an Angel! 5star*****s all the way! Such great lens! You have a great idea for a lens here. You could really do a lot with this...I could see it being all inclusive...young versus old who LOVE these trains...grandpa with grandson, son and so on. Keep up the great work. Love it!